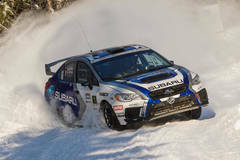 It was a Subaru Rally Team USA 1-2 at the 2017 edition of Rallye Perce Neige. 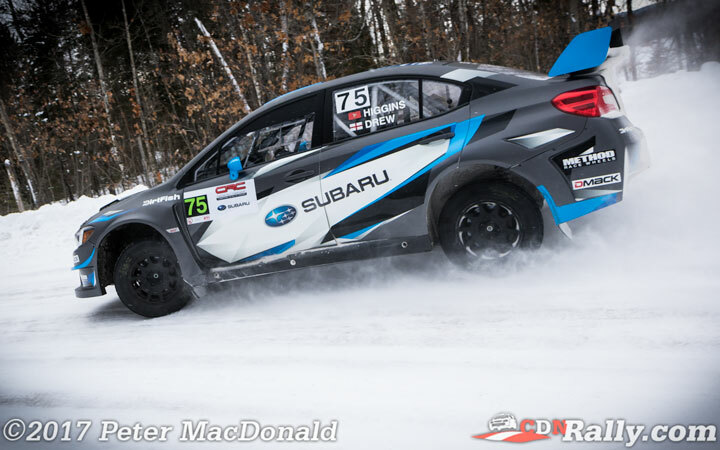 David Higgins and Craig Drew finished in the top spot in their first trip to Maniwaki, with SRT USA teammates Travis Pastrana and Robbie Durant placing second. 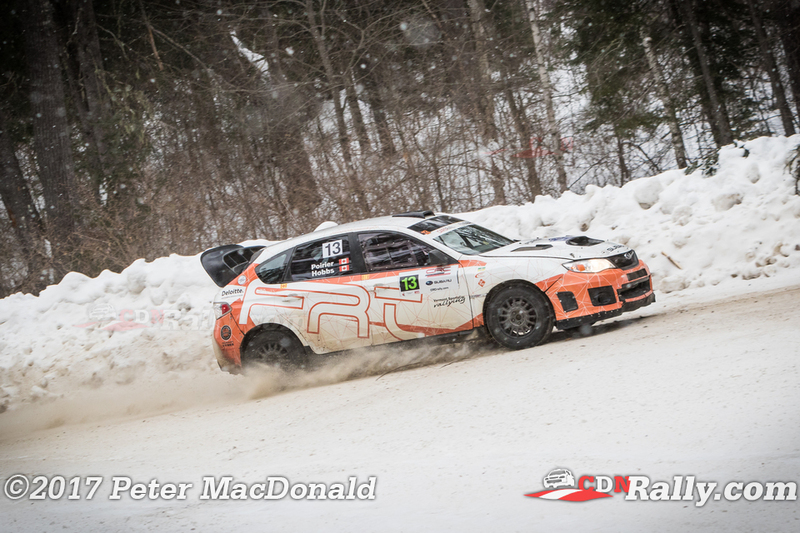 It was the first time that either driver had competed at Perce Neige, with SRT USA crossing the border as part of the newly formed American Rally Association schedule. 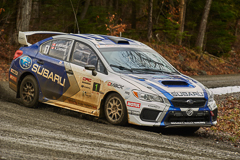 "Crazy Leo" Urlichich and Alex Kihurani brought their production class Subaru home in third overall, and first overall in the Canadian Rally Championship. 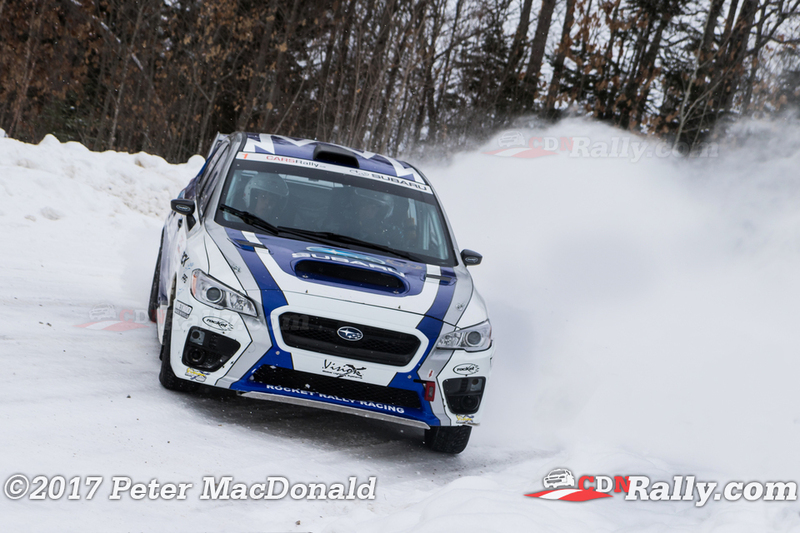 For Leo, it was his first Canadian rally in several years, and marked an unbelievable return to form for one of the series most popular drivers. The result was especially impressive given the much more powerful Open class machinery he was able to outpace. "We have a new codriver, new car, new tires, new everything" Urlichich admitted, "And we won first in Canada, so the day went very well!" 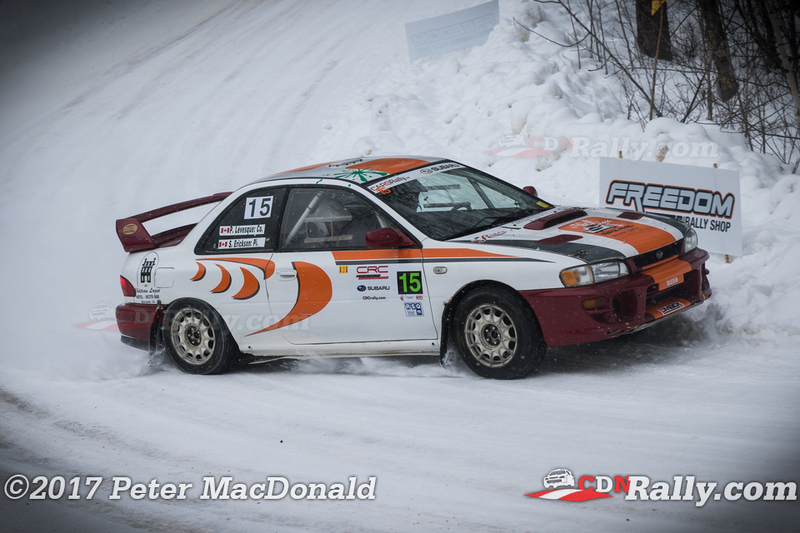 William Bacon and Gregorz Dorman finished second in the CRC, after surpassing eventual third place finishers Sylvain Erickson and Patrick Levesque. 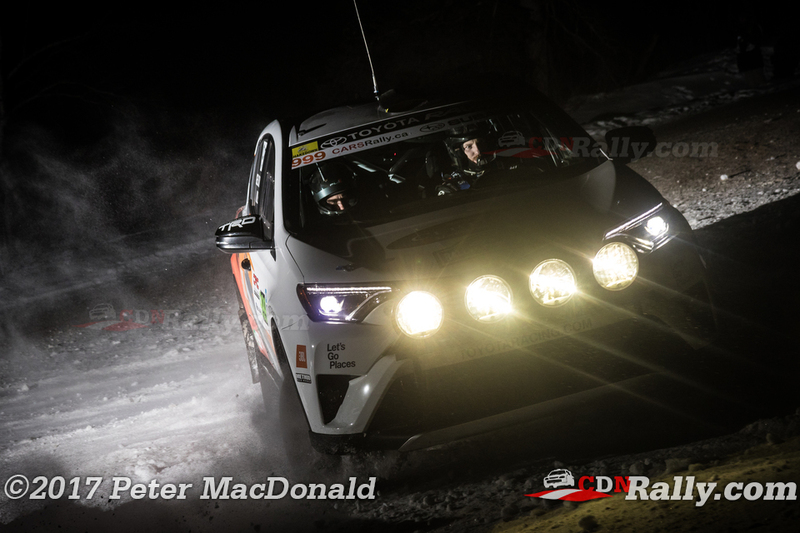 Erickson was running first for most of the rally, but began to suffer from mechanical problems in the closing stages, losing out on second place as a result. 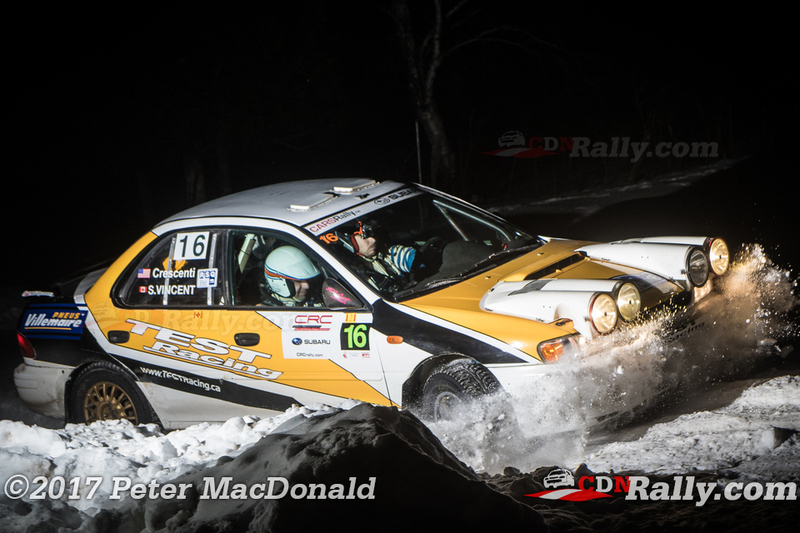 Antoine L'Estage and Alan Ockwell looked to be off to a fine start to their 2017 season, leading the event through the first three stages. Unfortunately, driveline problems caused them to take severe time penalties for being 'max late' leaving service. 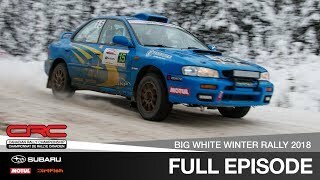 Further mechanical issues plagued the pair for the remainder of their event, leading to their retirement on the rally's final leg. 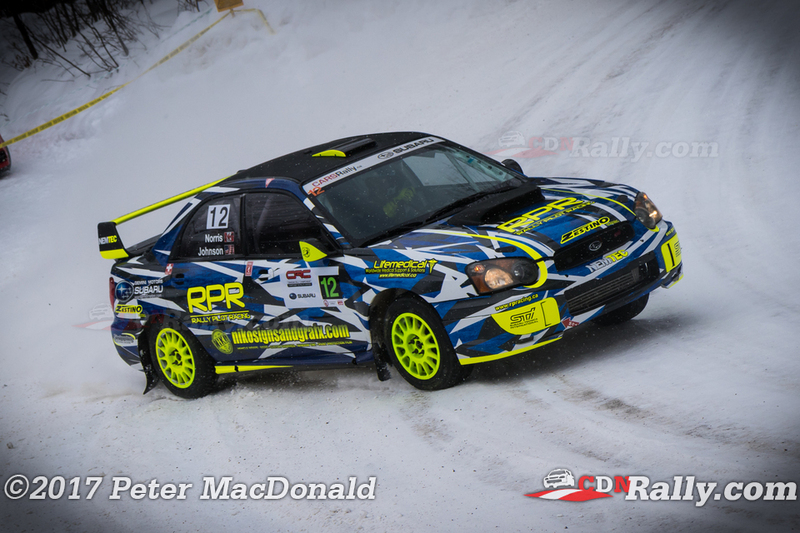 Jeremy Norris finished first in the Ontario Performance Rally Championship after crashing heavily at Perce Neige last year. 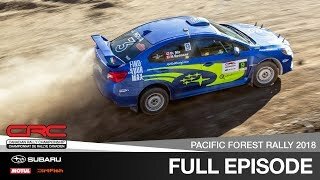 It was the 2015 OPRC champion's first rally since the accident, which briefly sent him to a local hospital for checks. 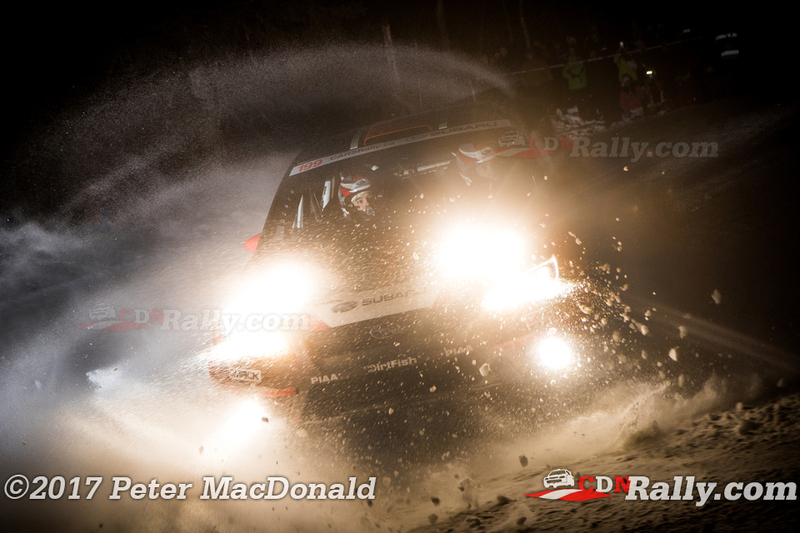 Norris showed no hesitation from that incident, overcoming a blown strut and a puncture late in the event to put himself and co-driver Brian Johnson in a great position heading into the Ontario season. "We lost a lot of time on the last leg" Norris recalled, "On the very last stage - Kitigan Zibi, right at the start, literally in the first couple of (kilometers) we got the flat. We drove the whole stage on the flat so we lost a lot of time. But otherwise it's been a good day! 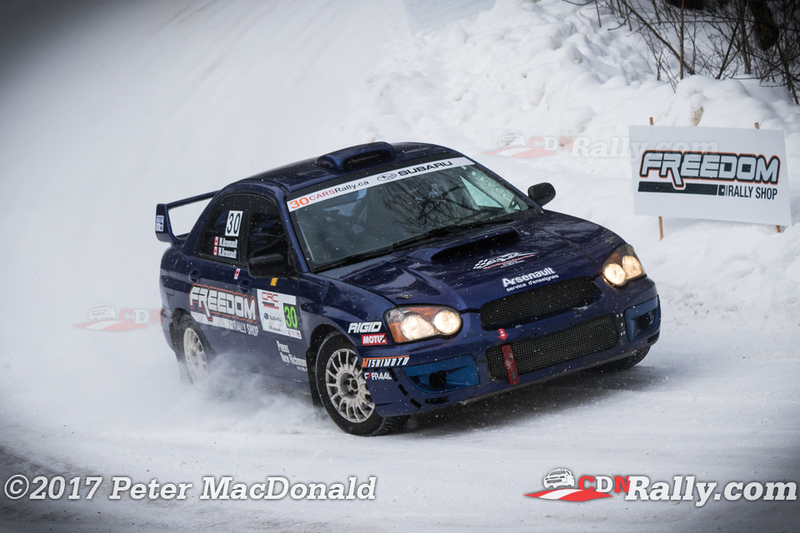 Steeve Hobbs and Philippe Poirier finished second in OPRC, returning to competition after sitting out most of last season. 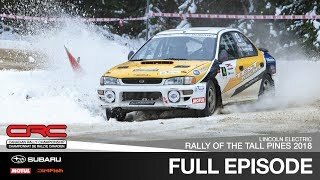 "It was a very hard rally. 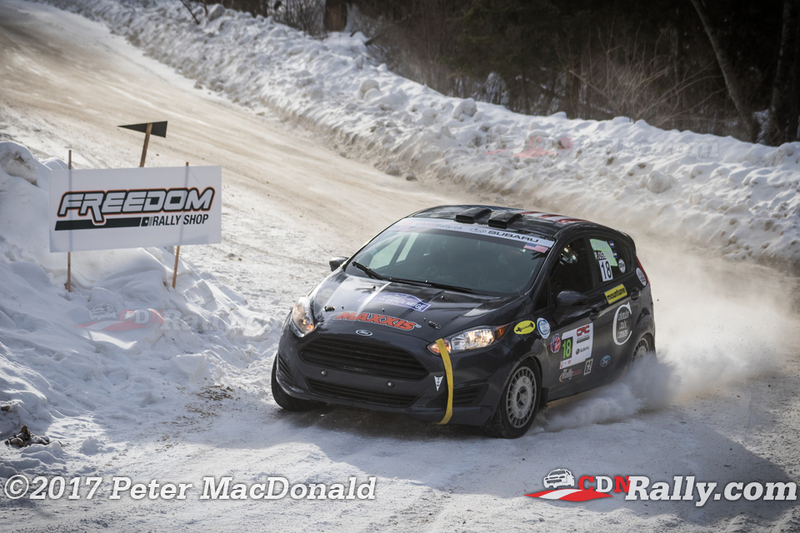 A lot of long stages on difficult roads...we didn't take any chances," commented Hobbs. Simon Vincent and Aaron Crescenti rounded out the OPRC podium in third, only two months removed from winning the championship title last season. Vincent took a cautious approach to the event, ever mindful of the long season ahead. "If you think that a rally is long, a championship is even longer" reflected Vincent, "I kept my car in good shape... I'll be ready to go at Lanark." 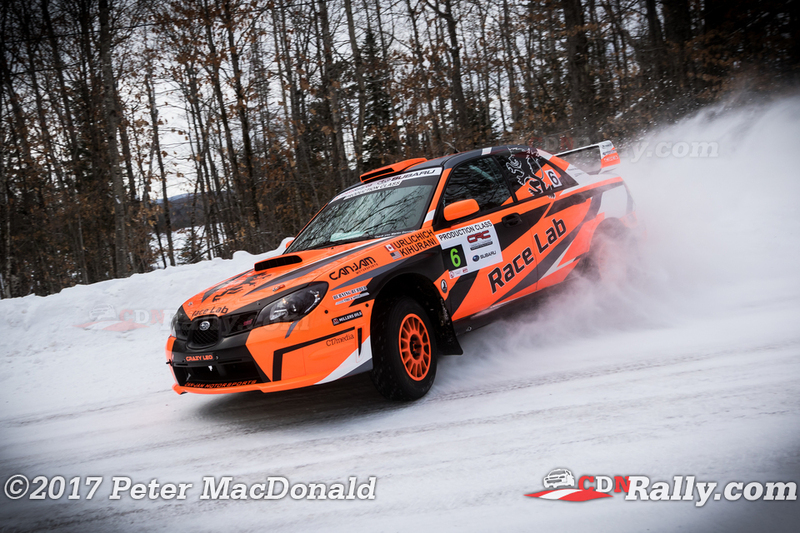 Crazy Leo also finished first in the Rallye Sport Quebec championship, with Vincent Second. 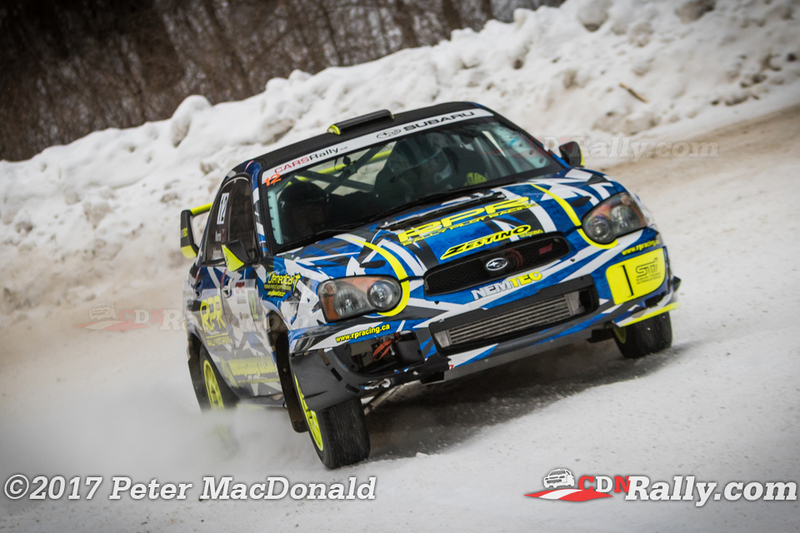 Mikael Arsenault and Manuel Arsenault rounded out the Quebec regional podium after pressing hard all day. The pair posted some impressive stage times, especially in the later evening stages. In the 2WD category, Ryan Millen and Rhiannon Gelsomino brought their Toyota RAV4 home in the top spot. Cameron Steely and Preston Osborn finished second, while Dave Wallingford and Leanne Junnila rounding out the podium in third. 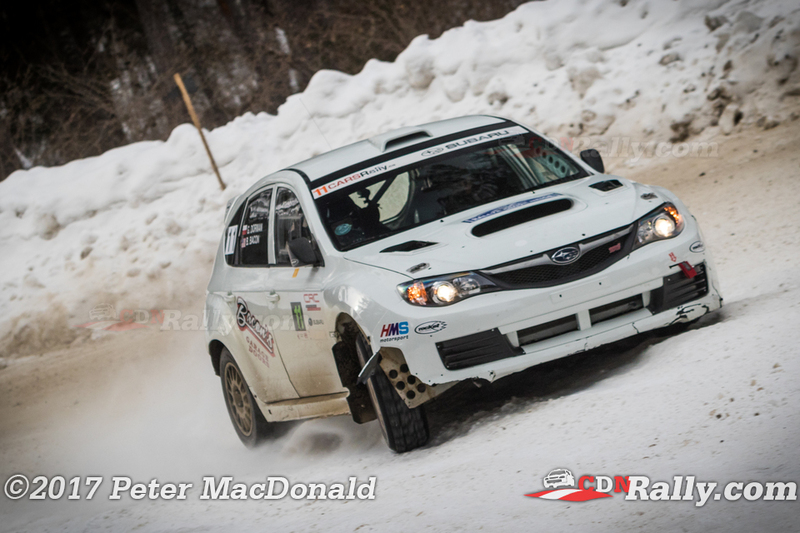 The next event for the Canadian Rally Championship arrives in late May, with teams heading to Invermere, BC for the Rocky Mountain Rally. 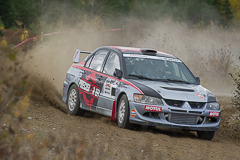 Next up for the OPRC, The Lanark Highlands Forest Rally takes place on May 6-7, in Mississippi Mills, Ontario.